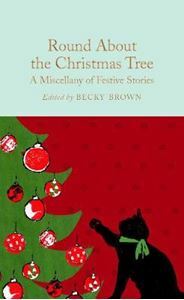 Quick overview A sparkling collection of Christmas stories from our most loved authors, introduced by Ned Halley and featuring illustrations by Alice Ercle Hunt. Designed to appeal to the booklover, the Macmillan Collector's Library is a series of beautiful gift editions of much loved classic titles. Macmillan Collector's Library are books to love and treasure. This edition is introduced by Ned Halley and features charming illustrations by Alice Ercle Hunt. Round About the Christmas Tree is the perfect Christmas gift for booklovers as all facets of the festive season are represented here in one gorgeous volume. This anthology shows what an inspiration Christmas was for so many famous writers, whether it be a time for celebration, for family, or a chance to remember those in hardship. There are heart-warming stories from Charles Dickens and E. Nesbit, comic fun from G. K. Chesterton and Saki, touching whimsy from Hans Christian Andersen, and even crimes to solve from Arthur Conan Doyle.